Welcome to New York City (NYC)… a world of controlled chaos, high-stress careers, aggressive/jaded inhabitants, high rents and environmental pollutants. 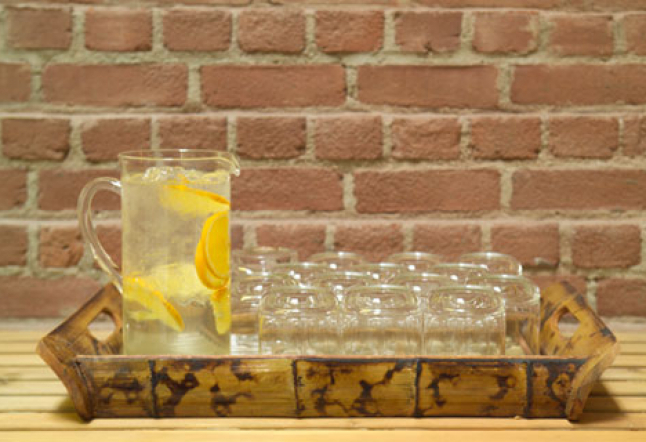 To be able to live amidst this toxic cocktail while maintaining balance is one of the keys to being a true yogi. As a Holistic Health Coach and yoga teacher who promotes wellness, people often ask me how I deal with the everyday stress of life here in NYC. I am here to share one of my great secrets. There are green sanctuaries that you can find (albeit you have to hunt for them) all around you. 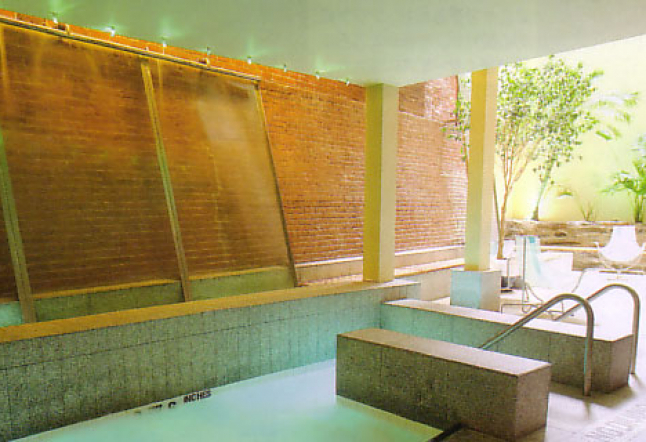 One of my favorite ways to escape the daily grind of the city is to retreat into a healthy oasis and cleanse my body and spirit at a holistic/green spa. 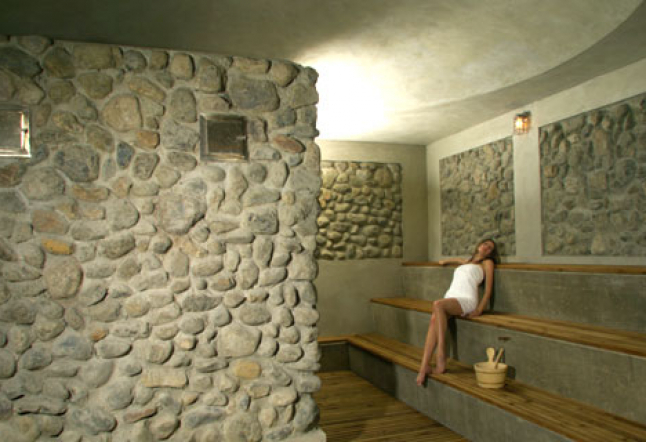 Being very much a “downtown girl,” I have discovered the perfect sanctuary in NoHo – Great Jones Spa. Upon entering the lobby, one instantly experiences a transformation. Mesmerized by the sound of rushing waters, you are intuitively guided to the magnificent and very central Water Lounge, a 15,000 square foot, 3½-story waterfall and spa lounge inspired by the original Roman Caracalla Baths. 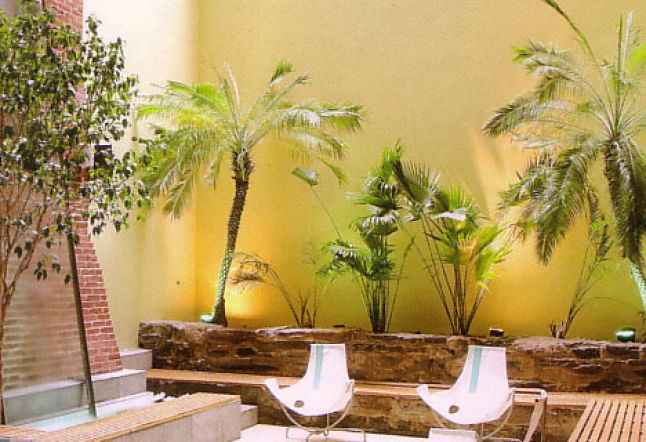 Situated among various palm trees and other tropical plants, the Water Lounge is the healing and detoxifying epicenter of the spa. After my indulgent tour of the Water Lounge, River Rock Sauna and the Chakra Light Steam Room, I was ready for my first River Rock Facial. The warm river rocks utilized are naturally smooth and used to massage the facial skin while stimulating the circulatory system and cell renewal. Suffice to say, after over an hour of rock massage coupled with an Organic Cherry Peel and Geranium Serum with Rosehip Seed Oil, I was floating on air. Before leaving this tranquil space, I grabbed a green juice at the Organic Juice Bar & Cafe that also serves sandwiches, salads and smoothies. I sat and stalled over drinking my juice because I know that once I walked out the door, I would be back in the jungle. 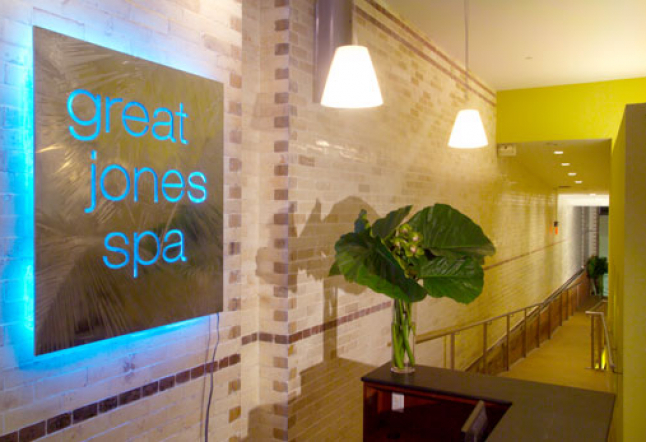 Having said that, Great Jones Spa afforded me 2 hours of holistic healing, peace and detoxification – obviously a much-needed respite from my daily life. I am now ready to battle my way back through the streets of NYC. That is until next week…!